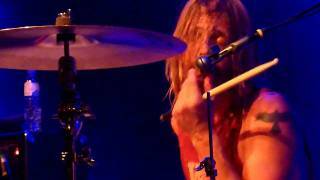 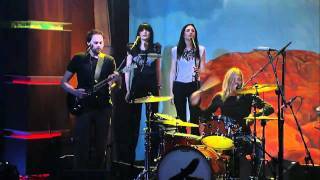 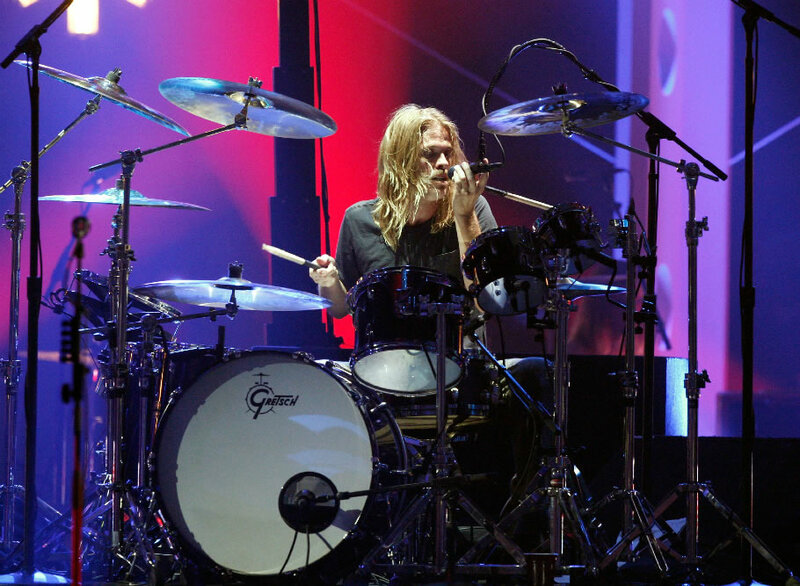 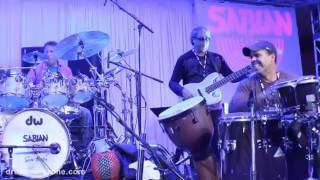 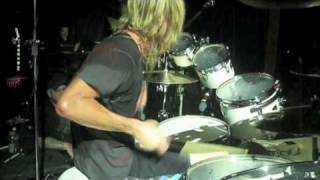 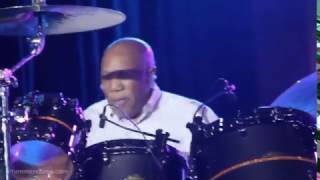 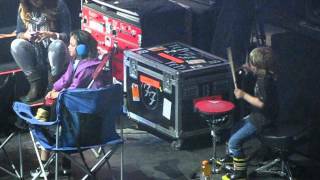 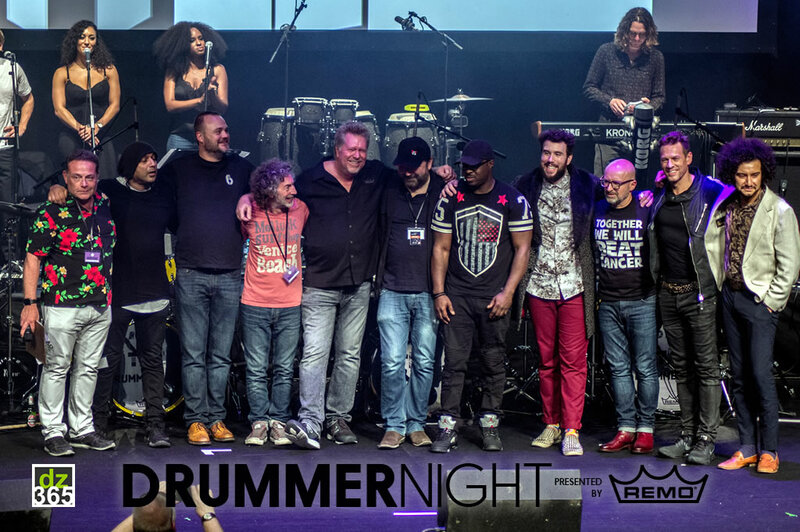 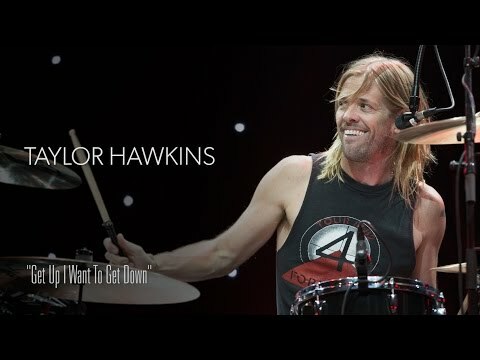 Taylor Hawkins backed by his band The Coattail Riders covering David Bowie's "Moonage Daydream" at our 27th Annual Drum-Off Finals on January 16th, 2016 in Los Angeles. Born as Oliver Taylor Hawkins, on Feb 17, 1972 in Harris Hospital in Texas, he is best known as drummer with Alanis Morissette and Foo Fighters. 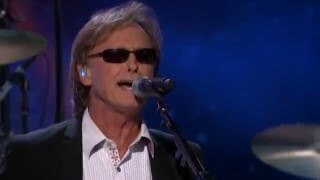 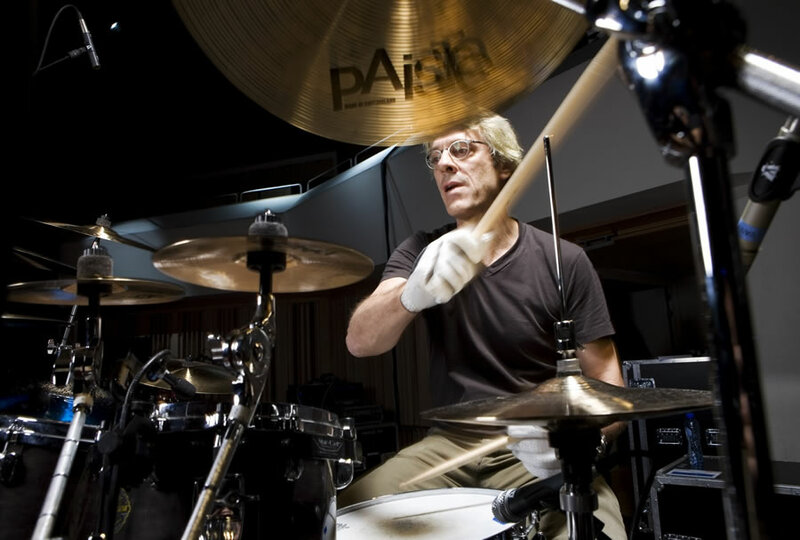 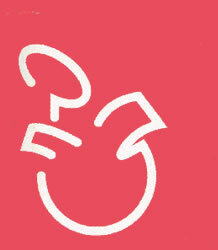 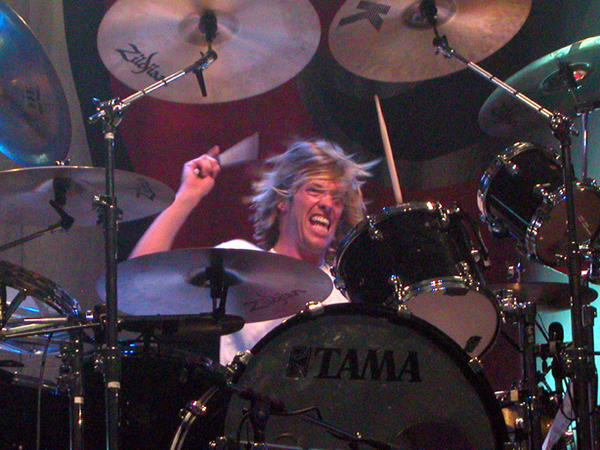 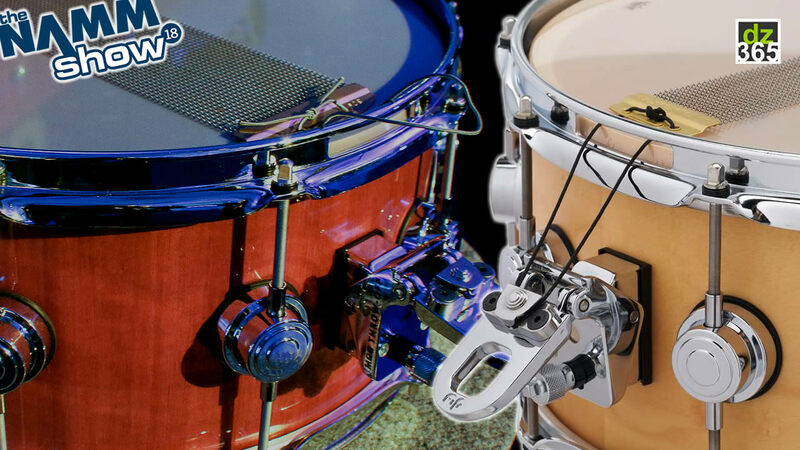 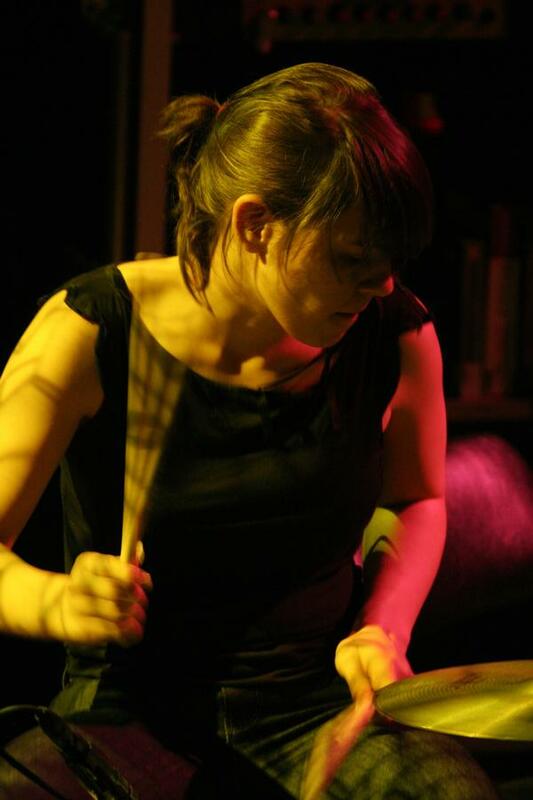 Taylor's main influence is Stewart Copeland, another big influence is Queen drummer Roger Taylor. 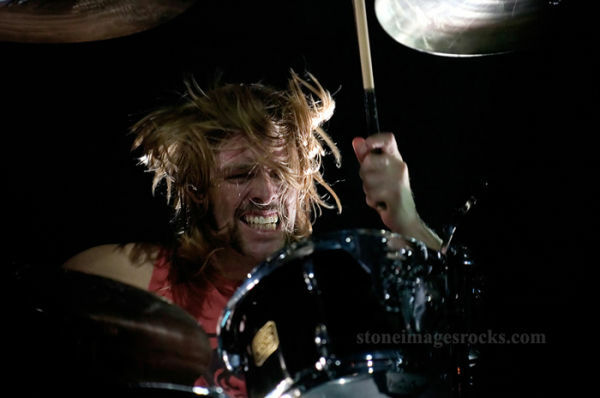 He names Led Zeppelin, Jane's Addiction, Queen, Pink Floyd, Bob Marley, The Specials and The Police as his favorite bands. 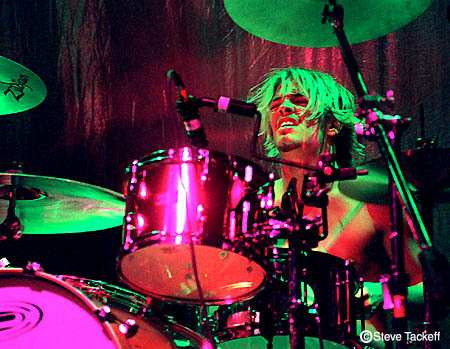 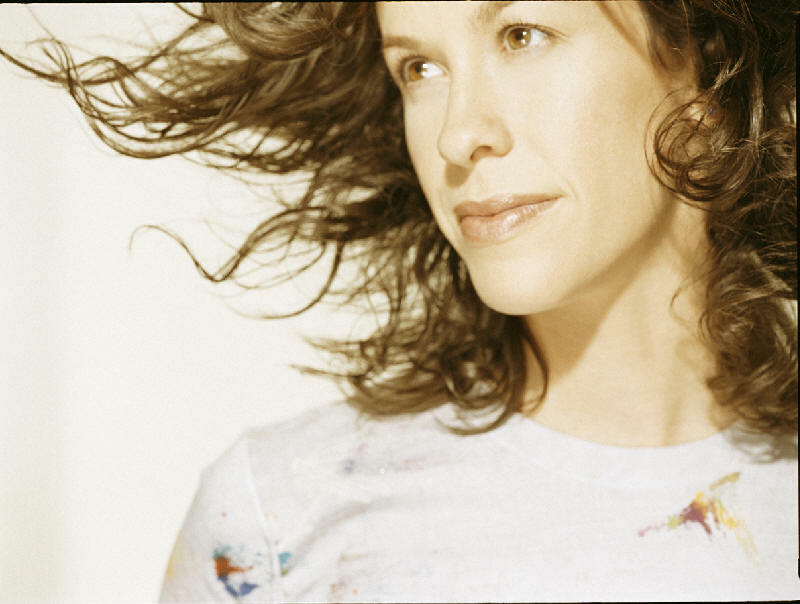 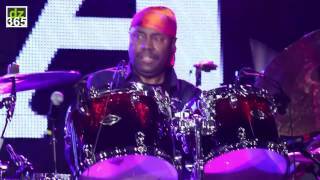 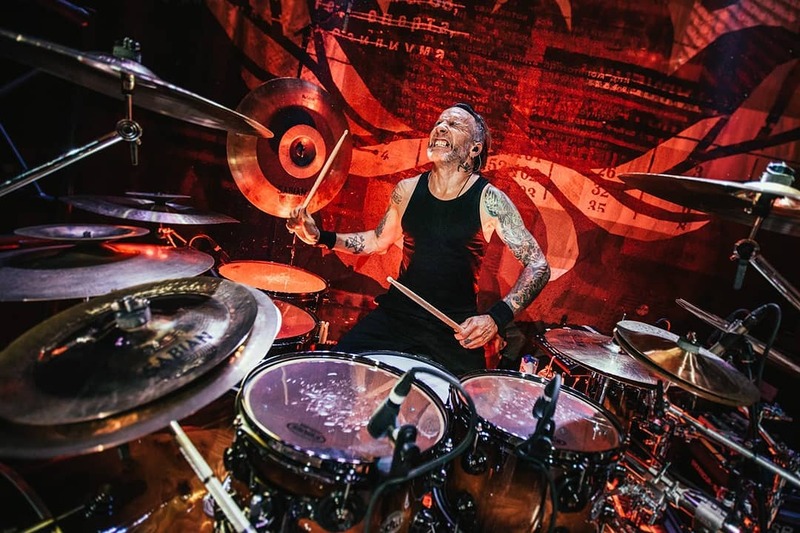 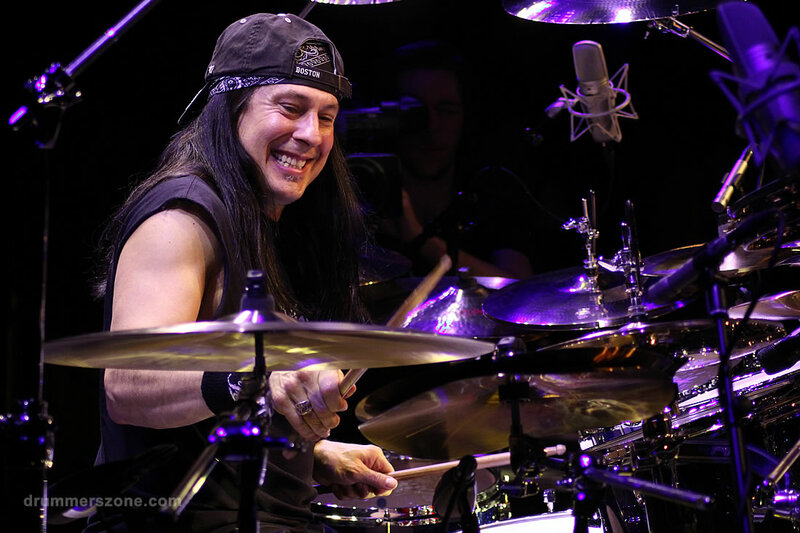 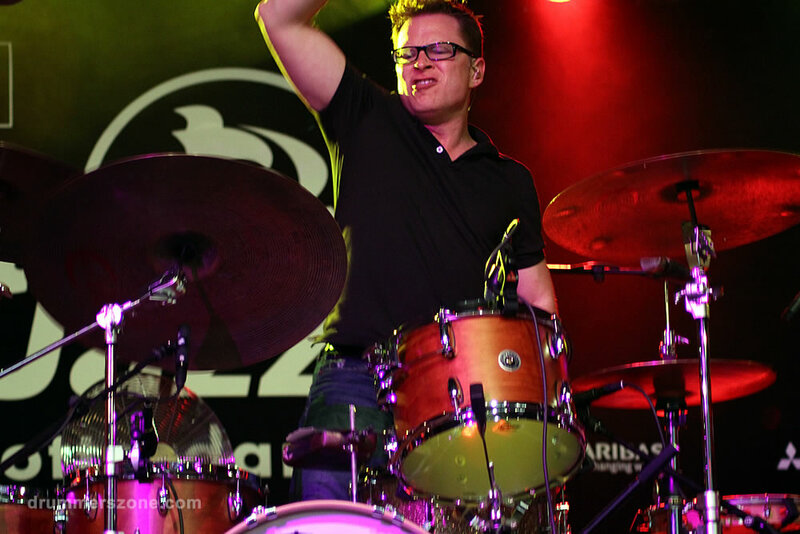 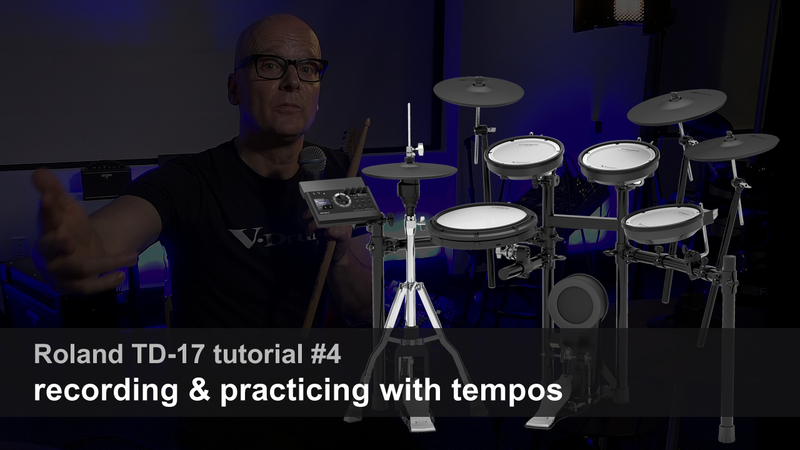 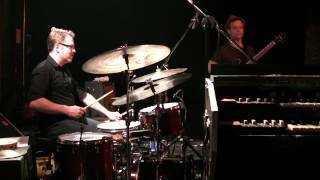 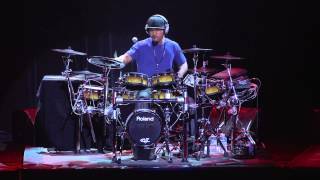 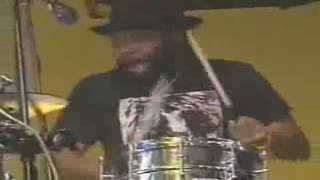 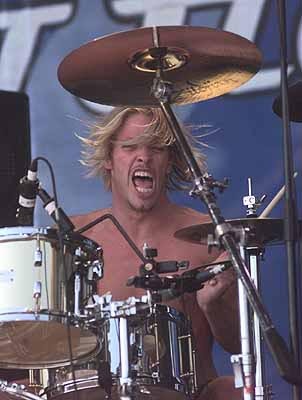 Prior to joining the band in 1997, he was the touring drummer for Alanis Morissette on her Jagged Little Pill tour, as well as the drummer in a short-lived experimental band called Sylvia. 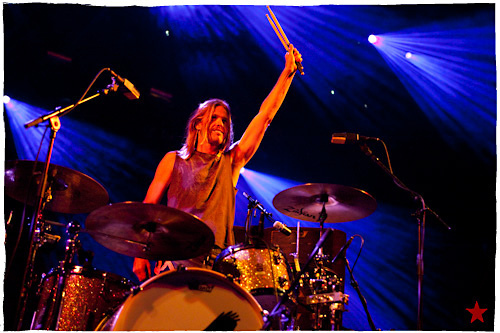 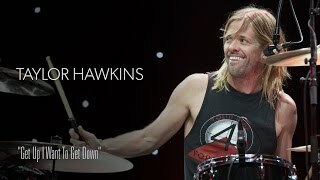 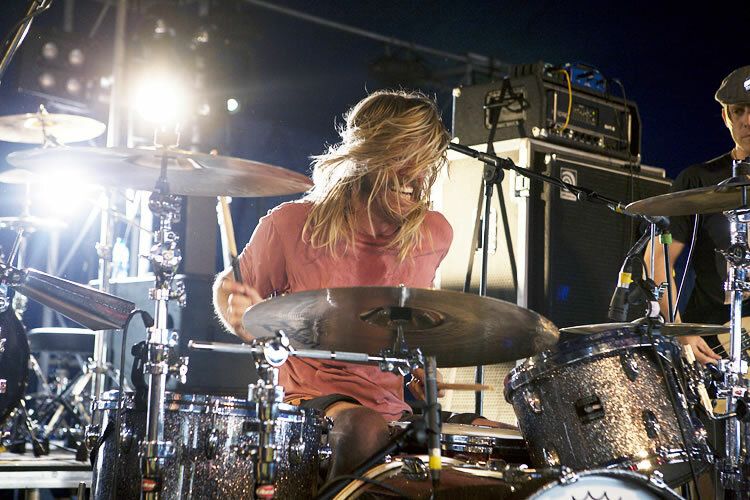 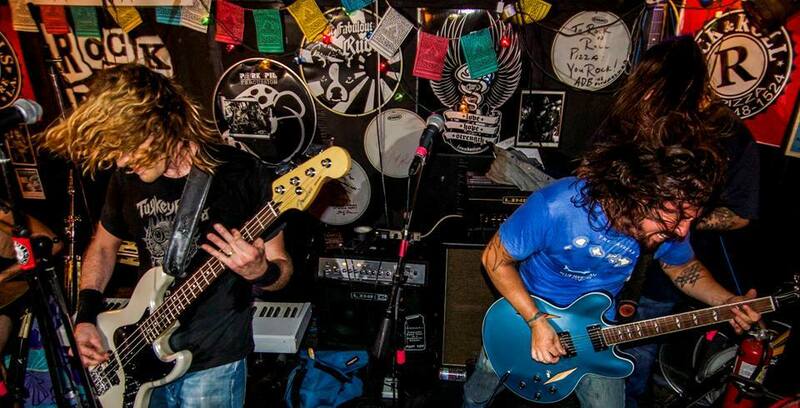 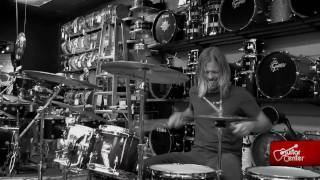 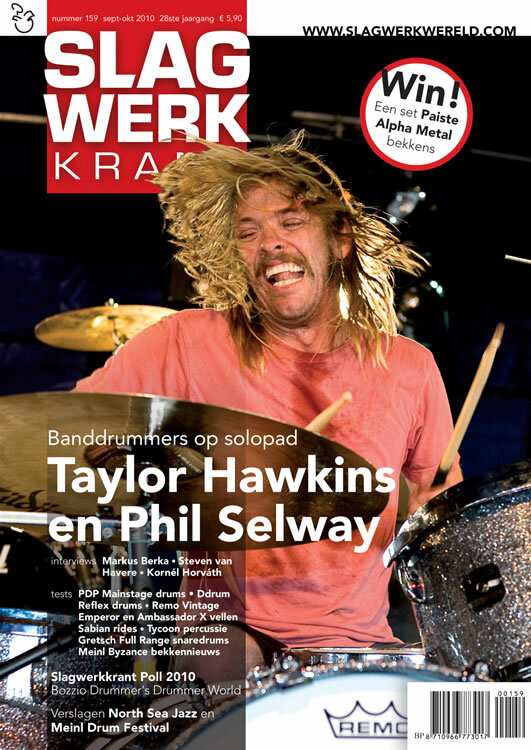 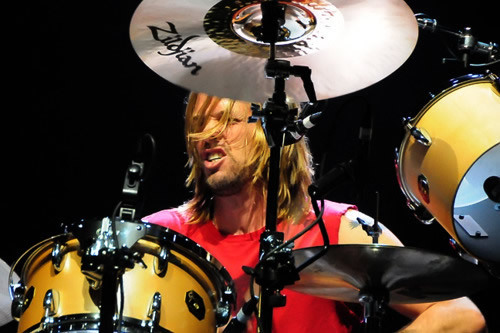 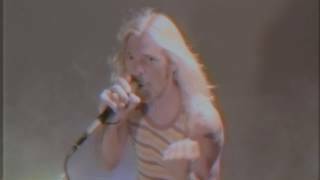 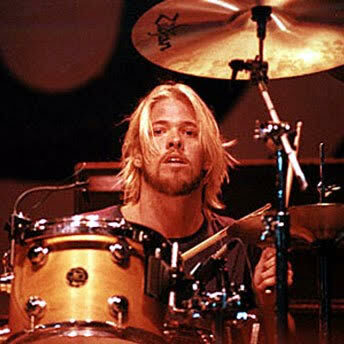 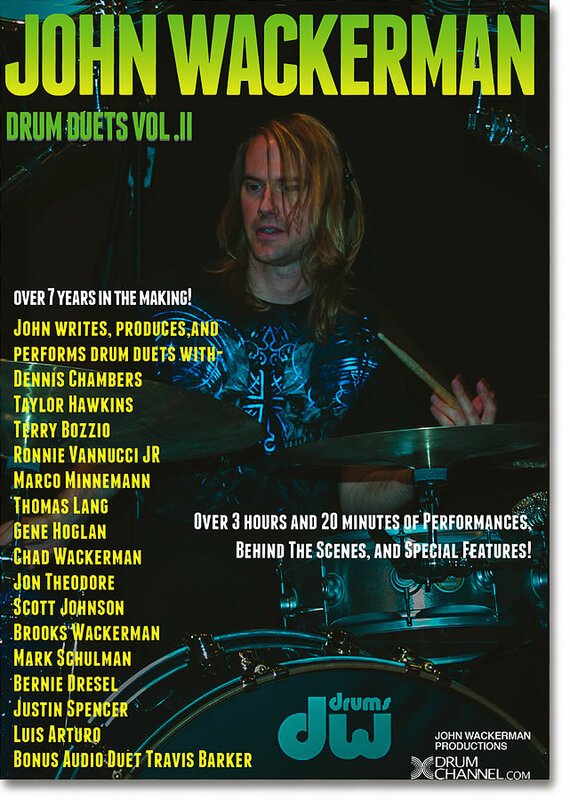 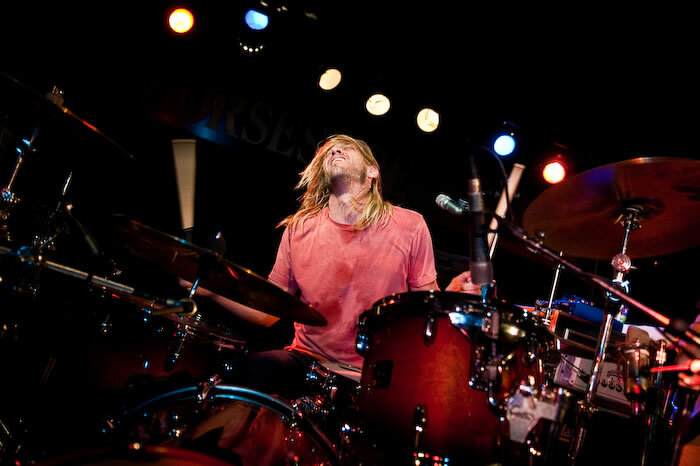 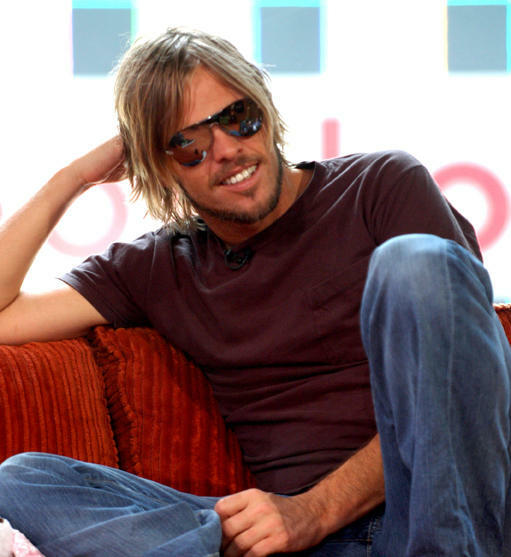 He started a band named Taylor Hawkins and the Coattail Riders, in which he plays drums and sings. 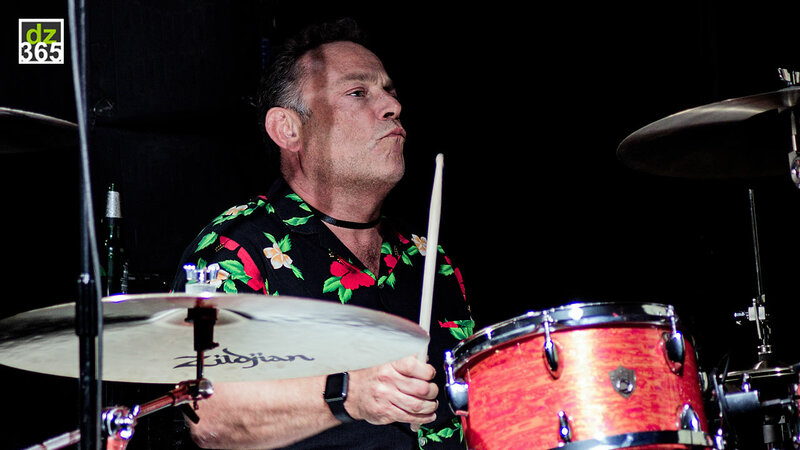 His spare time is spent creating more music in the 1970s' cover band Chevy Metal with Achim Dangerfield and Wiley Hodgden. 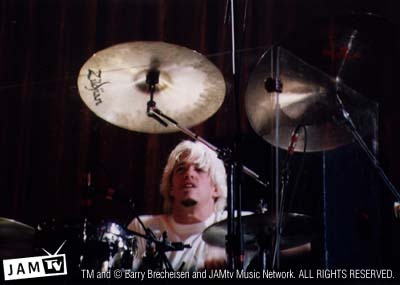 Taylor was in a trio called Sylvia with friends, but he quit to be part of Sass Jordan touring band, then left them then joined Alanis Morissette's band Sexual Chocolate. 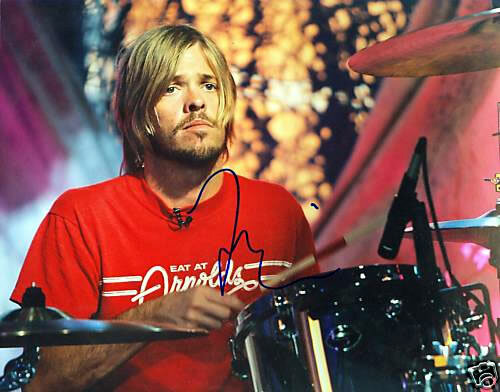 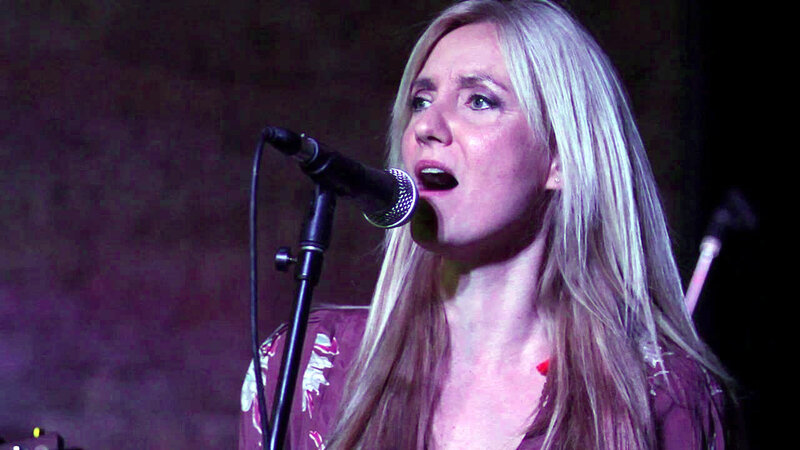 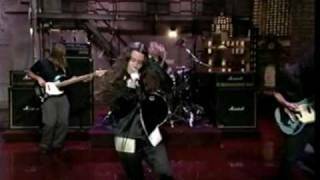 Then again he left her and joined Dave Grohl's band the Foo Fighters, early in 1997 replacing original drummer William Goldsmith. 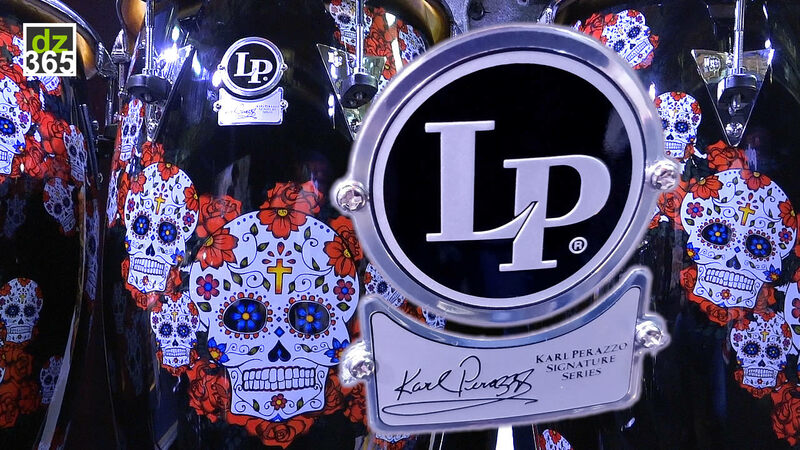 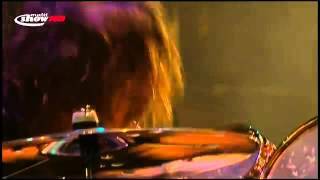 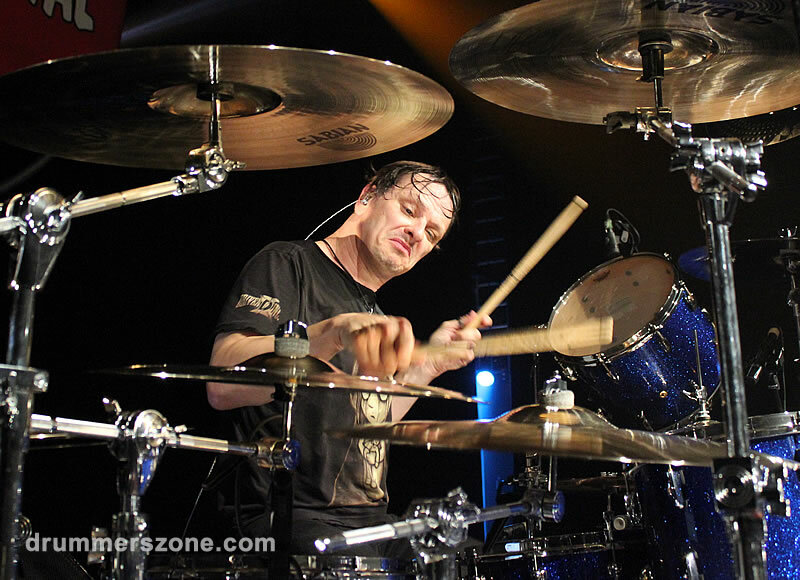 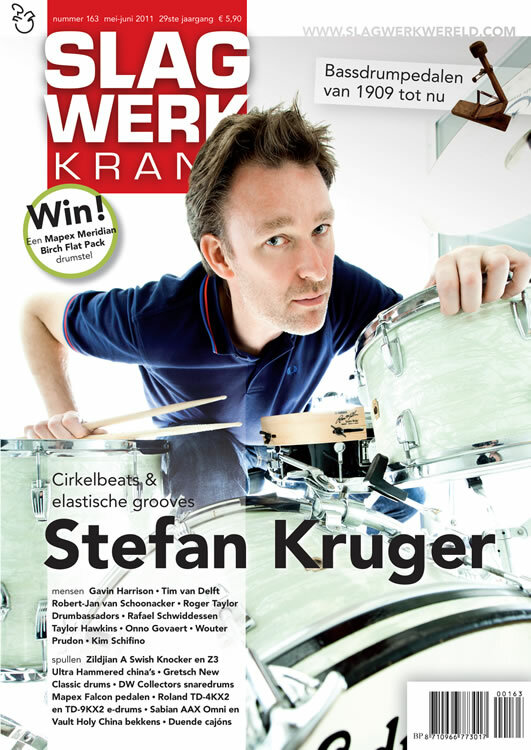 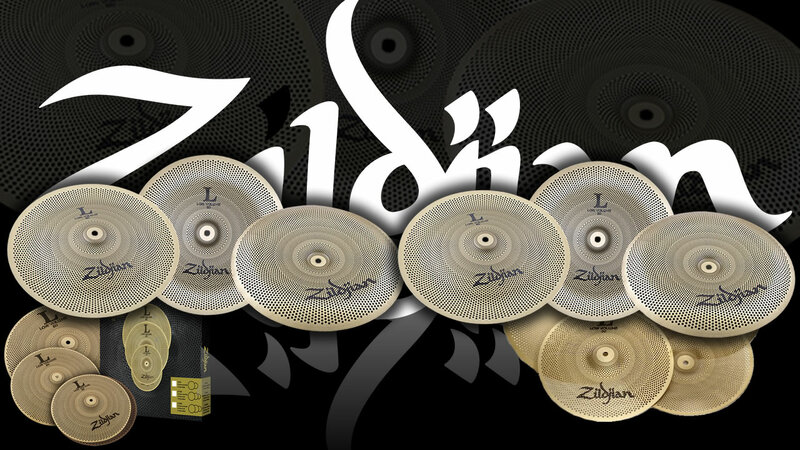 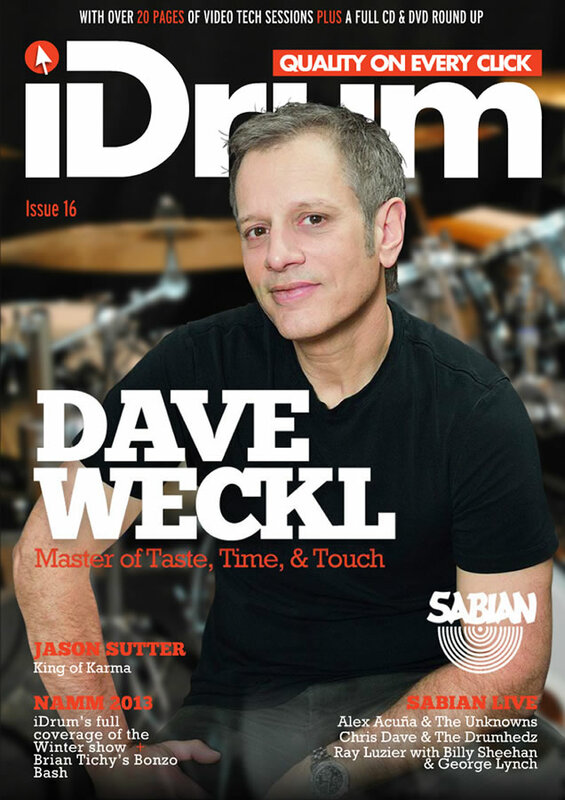 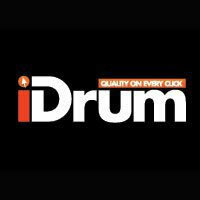 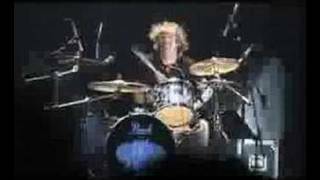 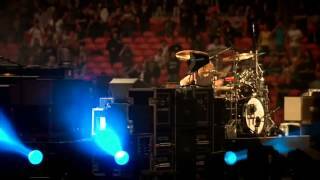 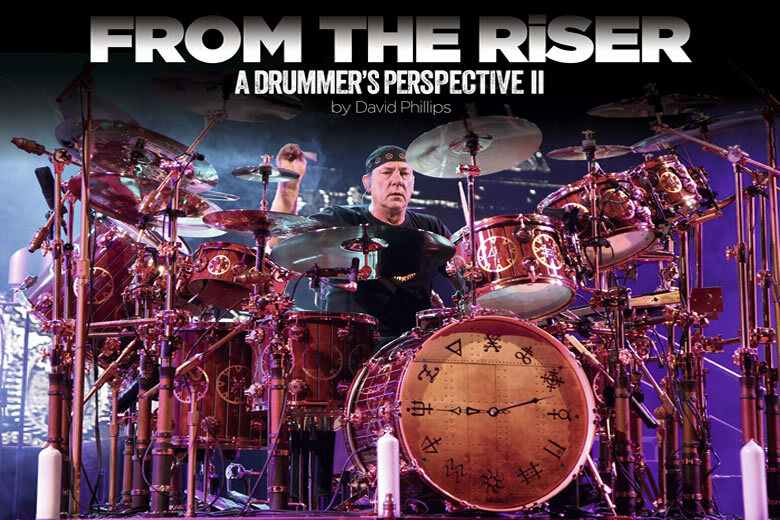 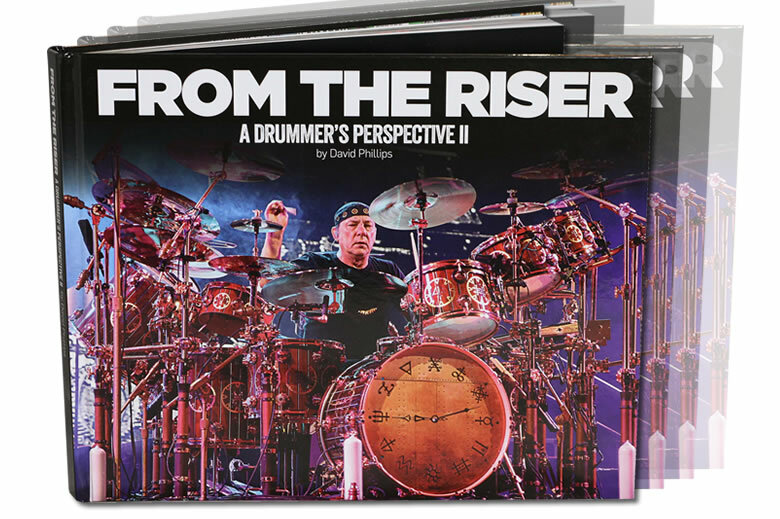 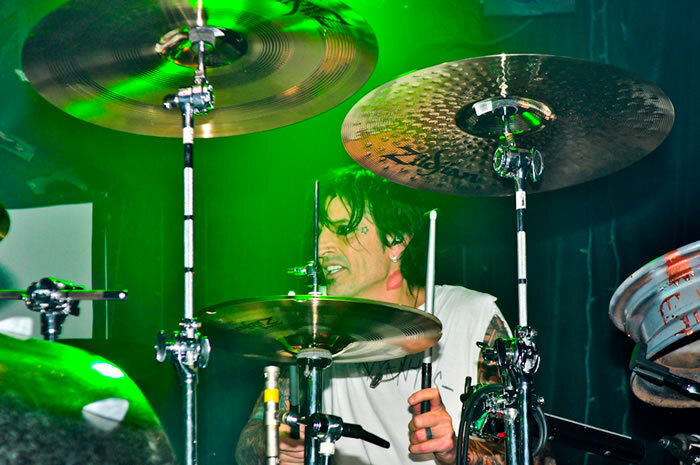 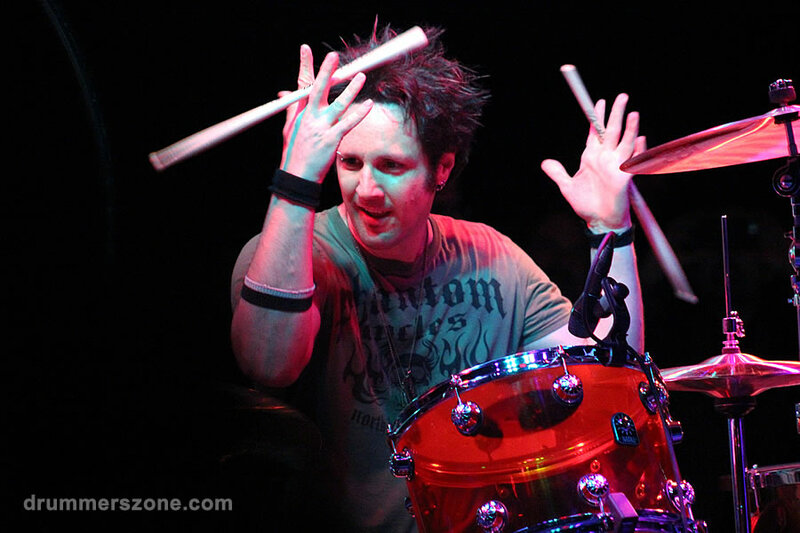 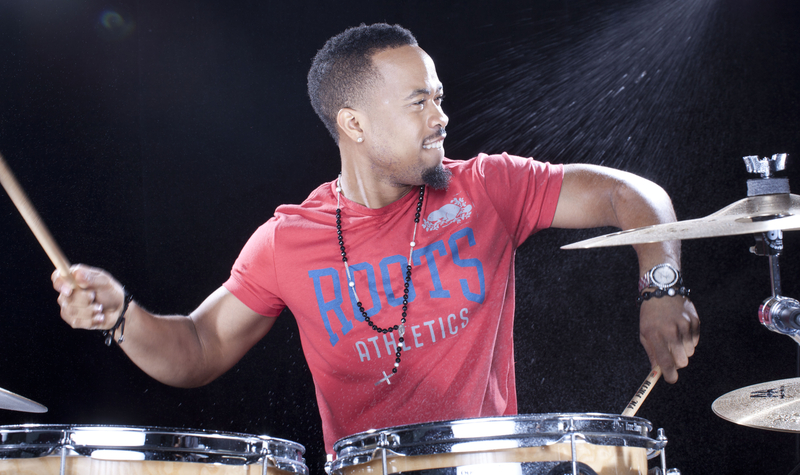 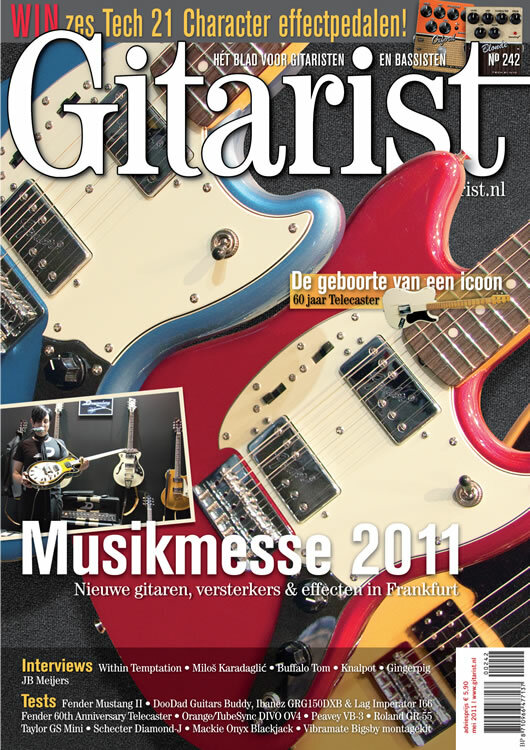 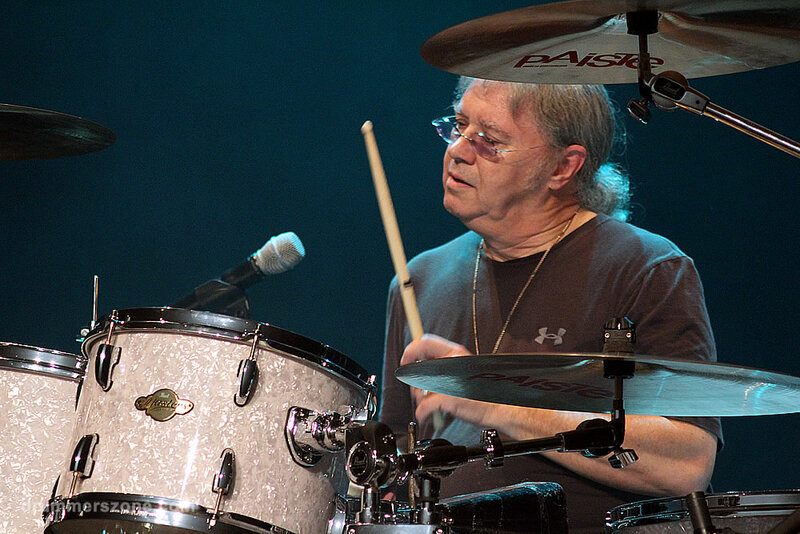 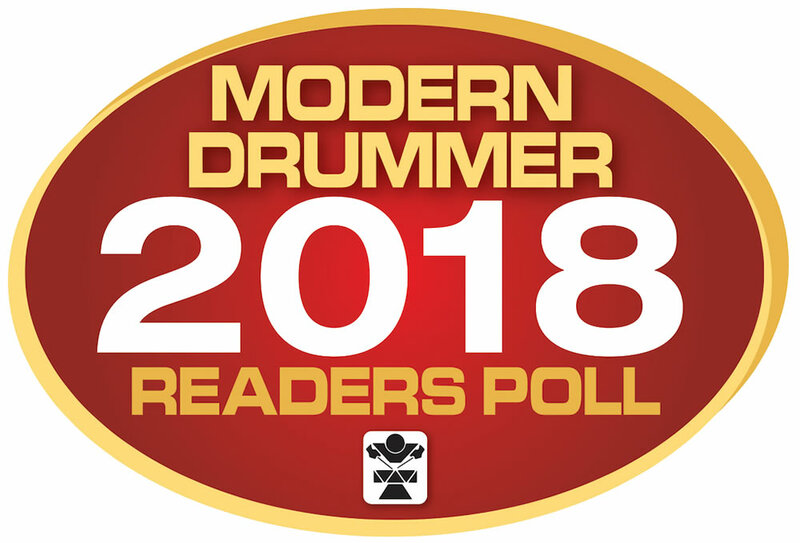 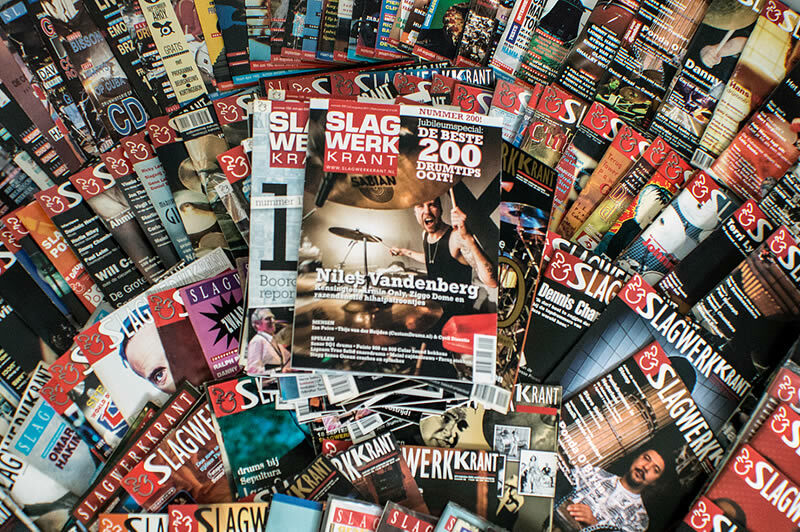 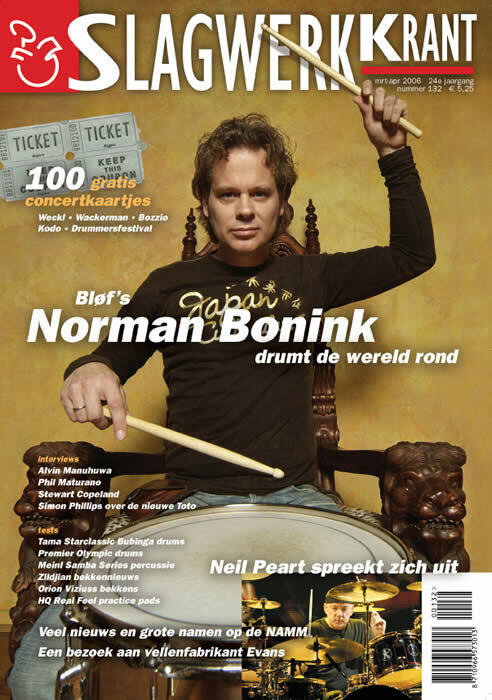 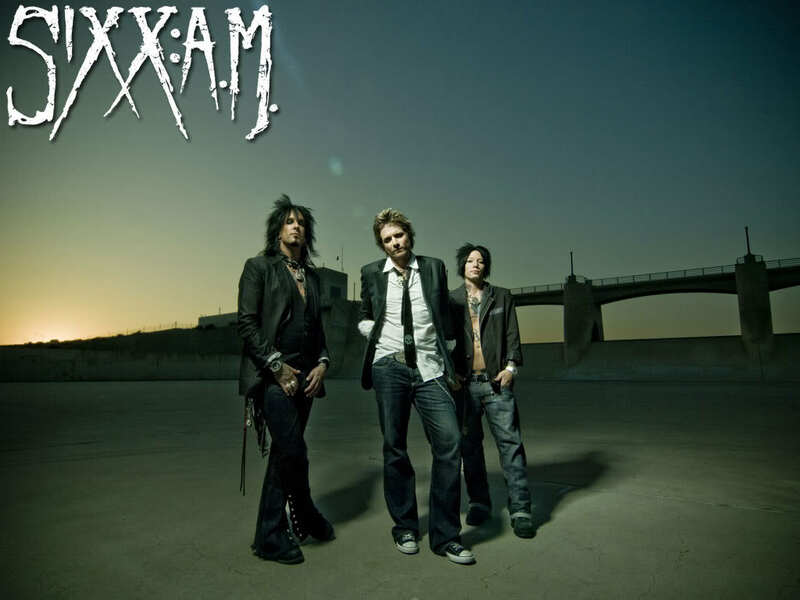 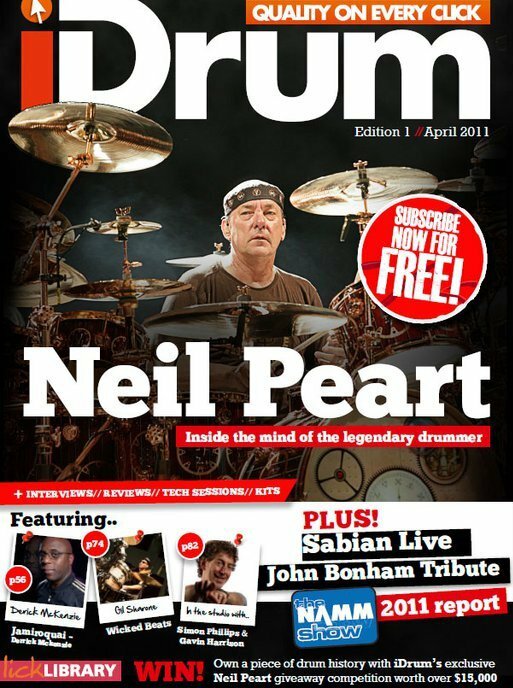 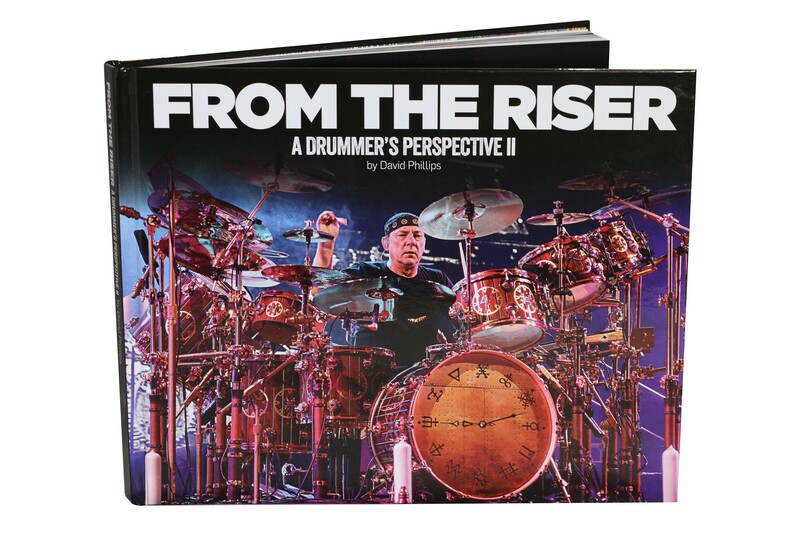 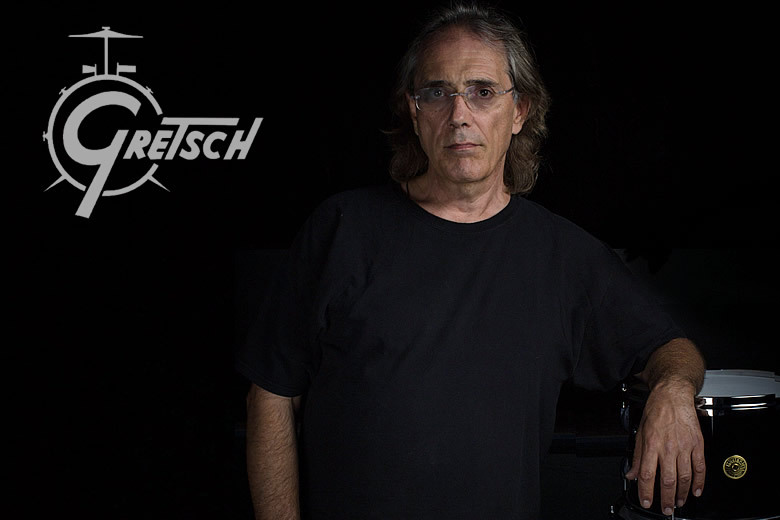 He was voted "Best Rock Drummer" in 2005 by UK drumming magazine, Rhythm. 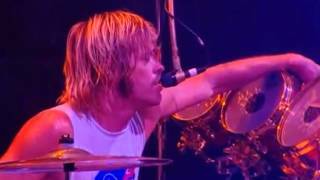 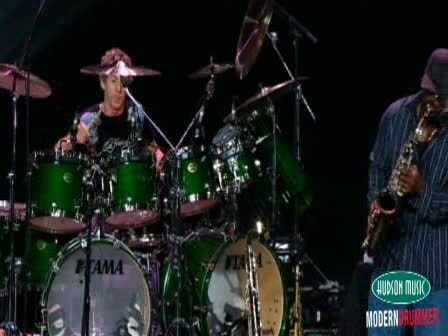 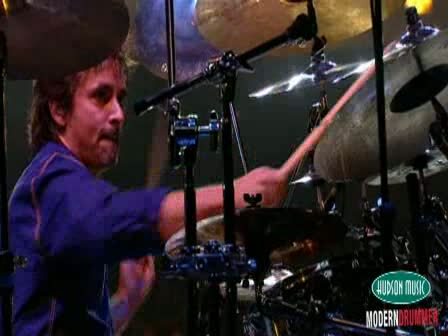 At Live Earth in 2007, Hawkins was part of SOS All-Stars with Roger Taylor of Queen and Chad Smith of Red Hot Chili Peppers. 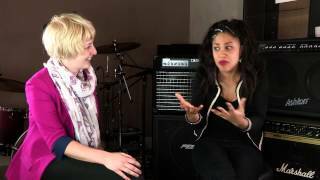 Hawkins also recorded the drums on Coheed and Cambria's 4th album, Good Apollo, I'm Burning Star IV, Volume Two: No World for Tomorrow. 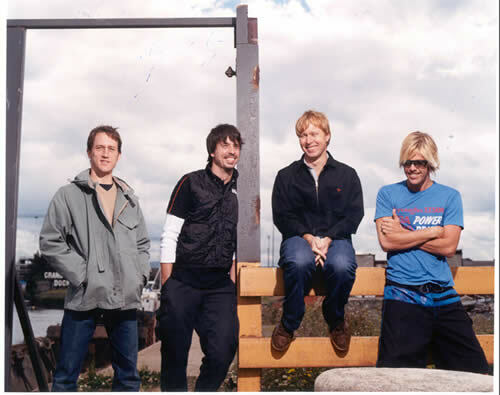 After touring through the spring of 1996, the band entered a Seattle studio with producer Gil Norton to record its second album. 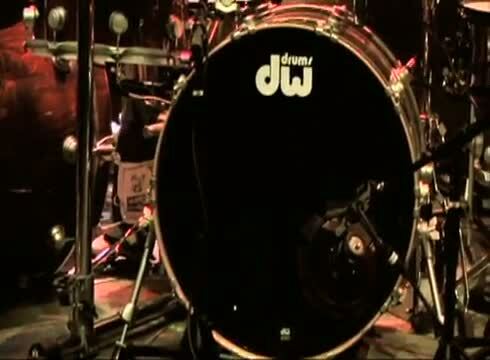 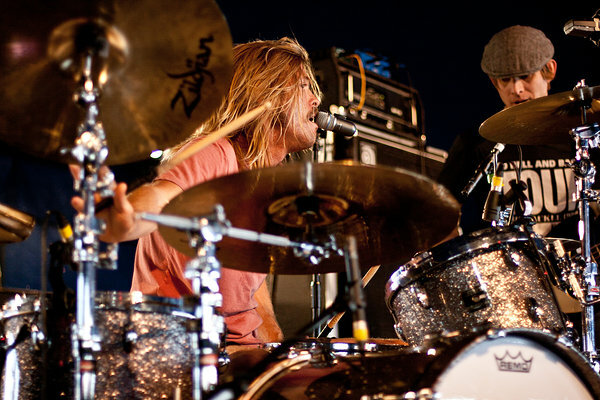 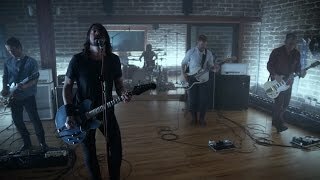 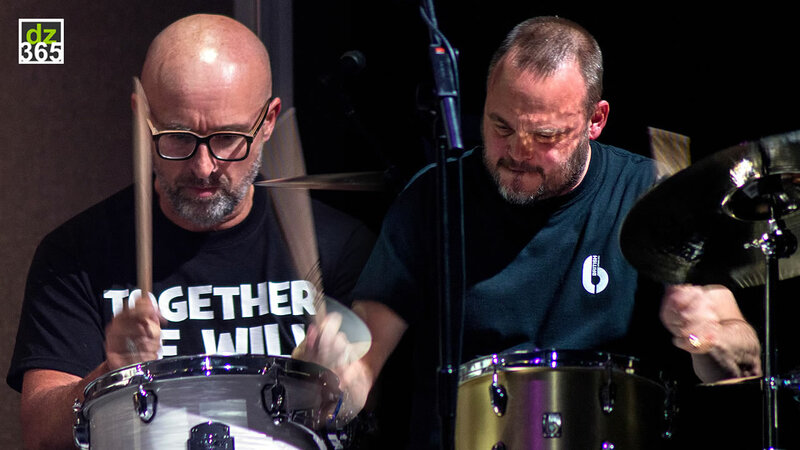 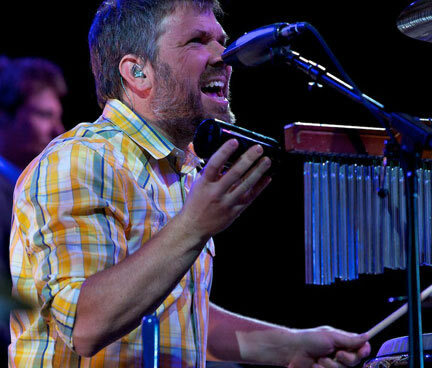 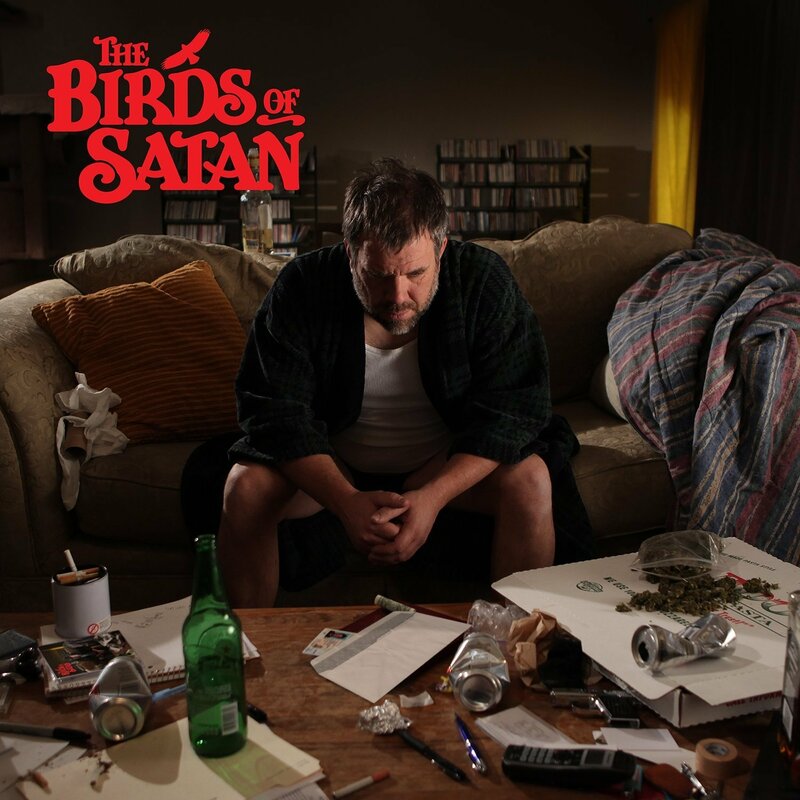 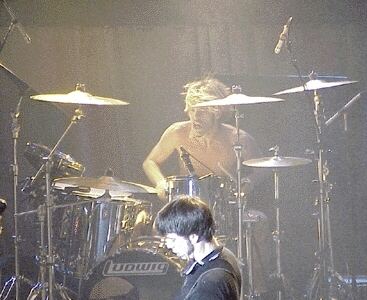 Conflict erupted between Dave Grohl and then drummer, William Goldsmith, eventually causing Goldsmith to leave the band. 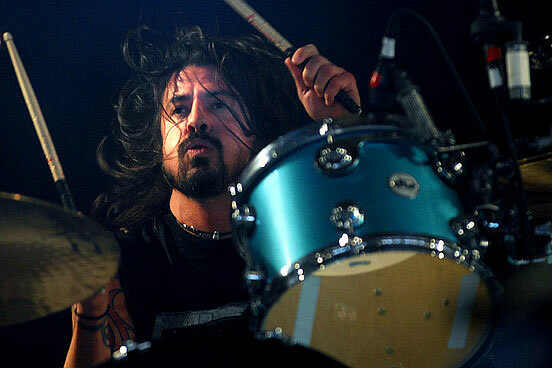 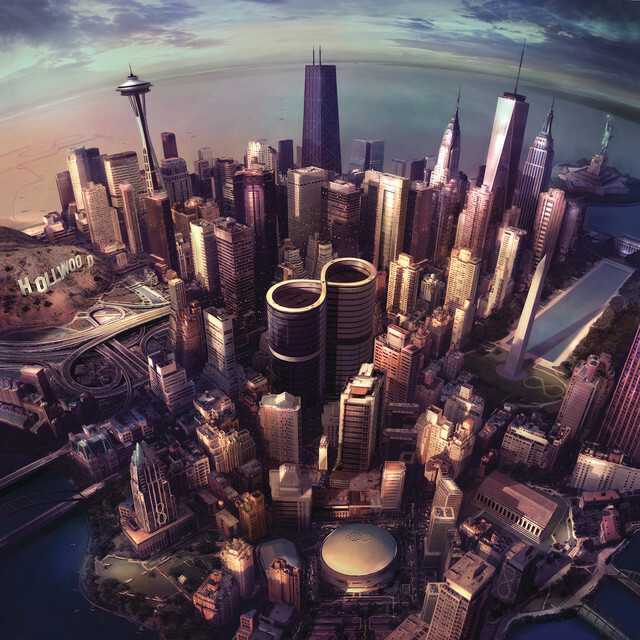 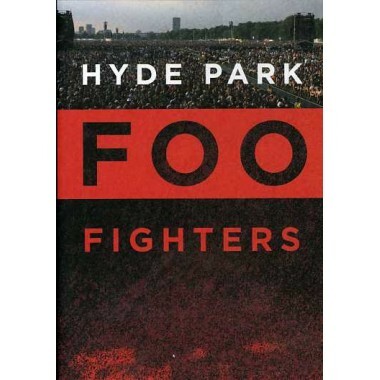 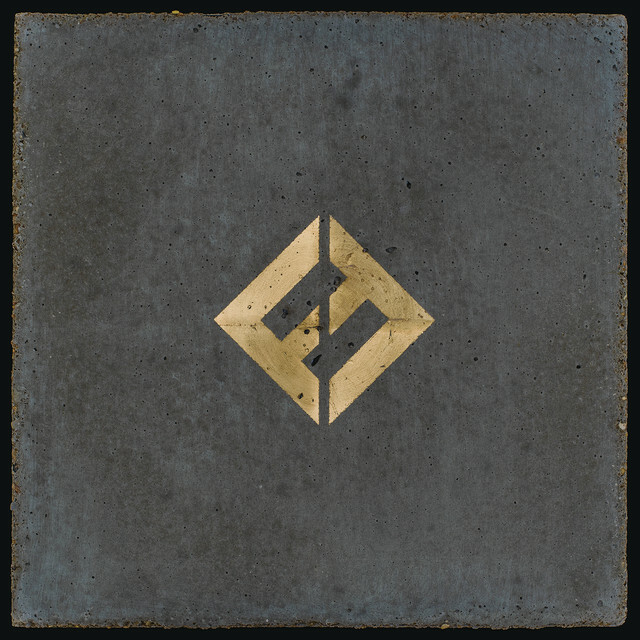 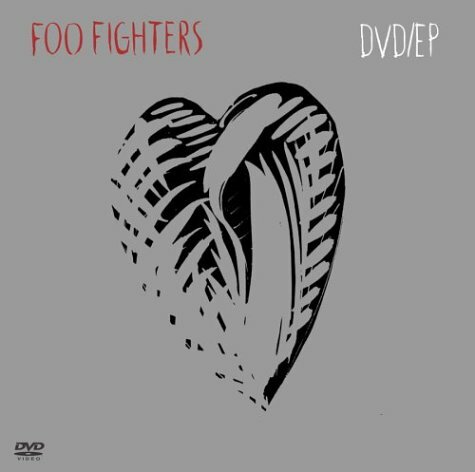 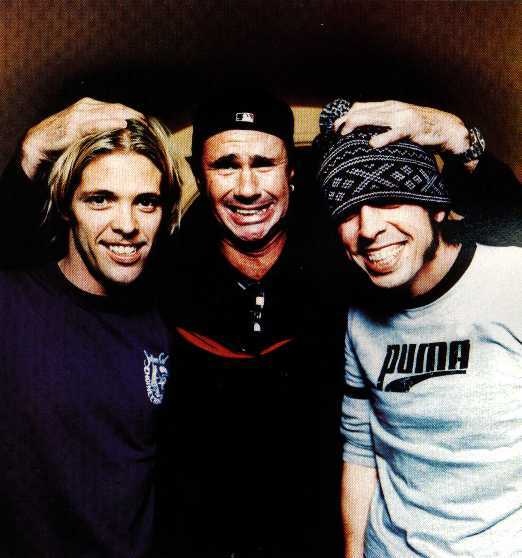 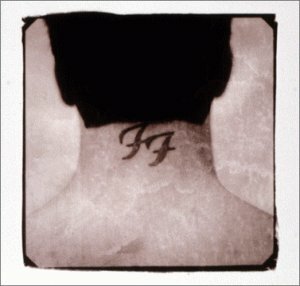 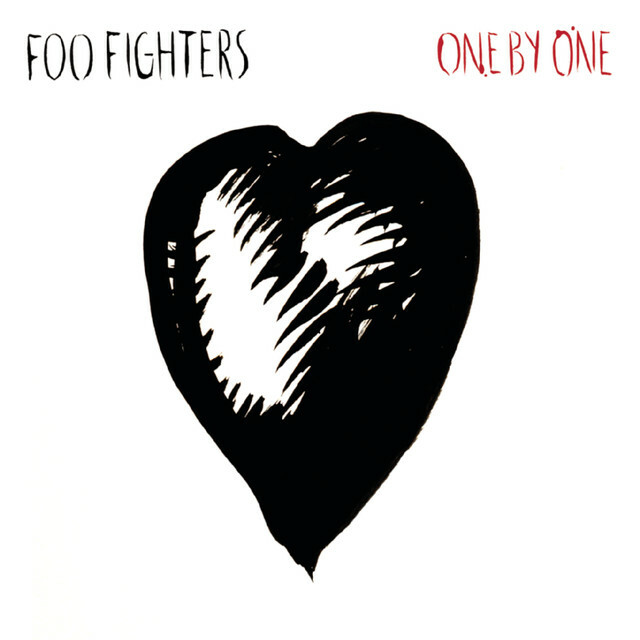 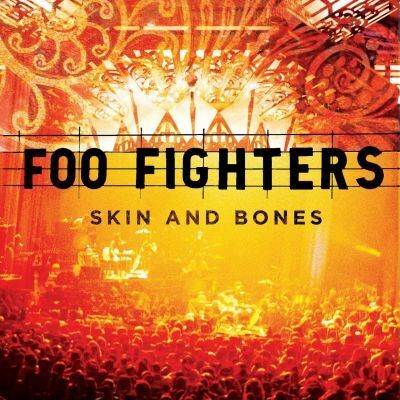 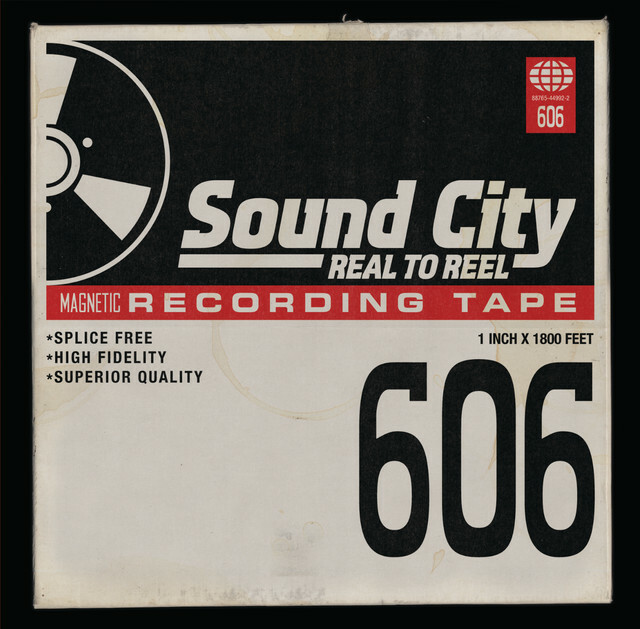 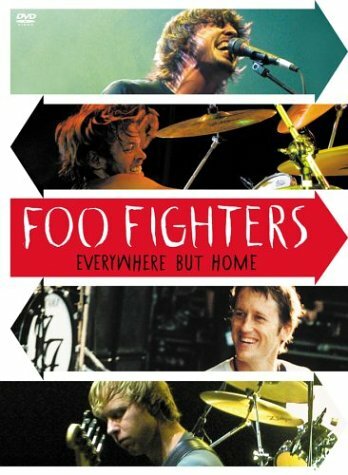 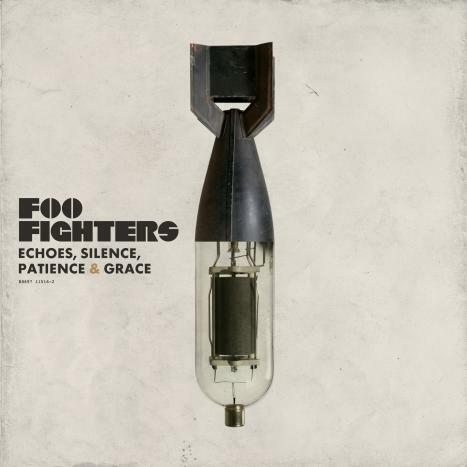 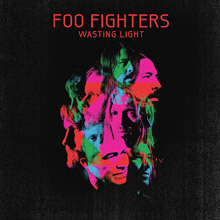 The band regrouped in Los Angeles and almost completely re-recorded the album with Grohl on drums. 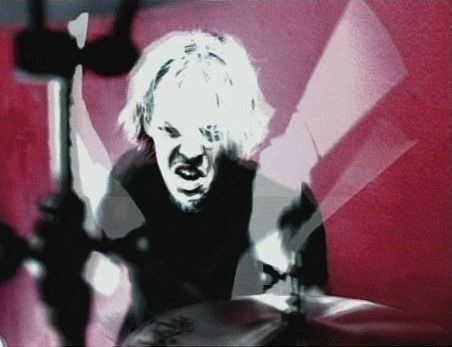 The album, The Colour and the Shape, was released on May 20, 1997. 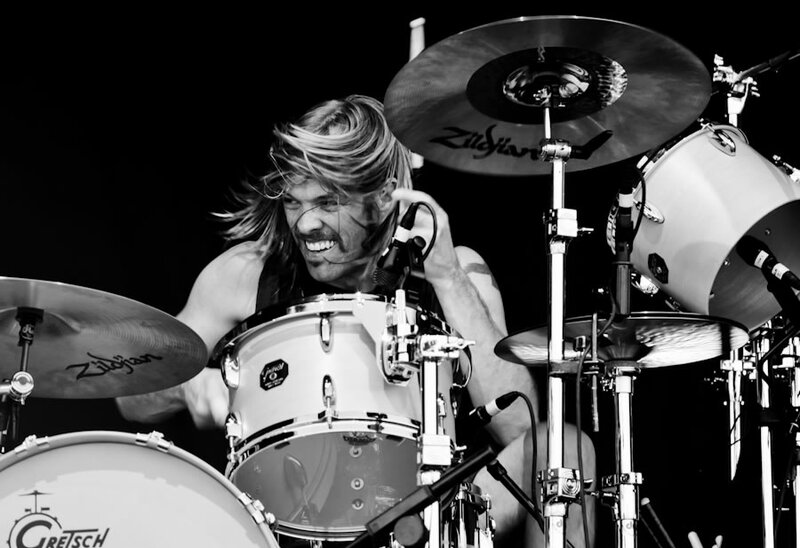 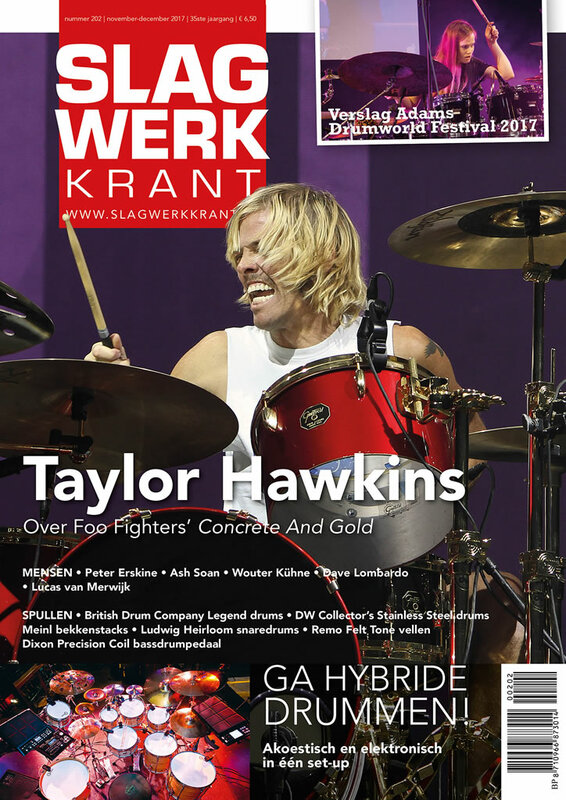 In need of a drummer, Grohl contacted Alanis Morissette's touring drummer Taylor Hawkins to see if he could recommend anybody. 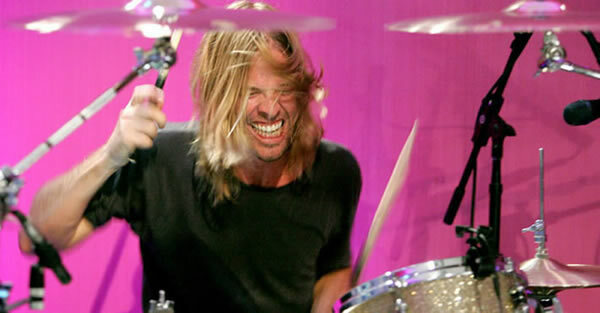 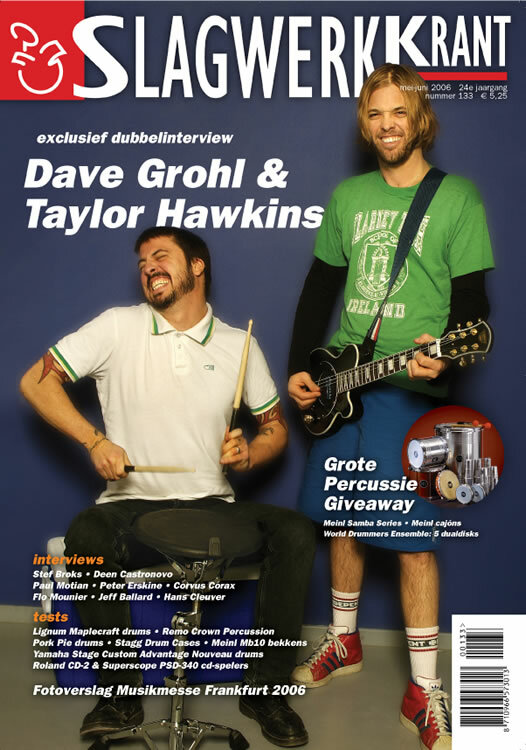 Grohl was surprised when Hawkins volunteered himself. 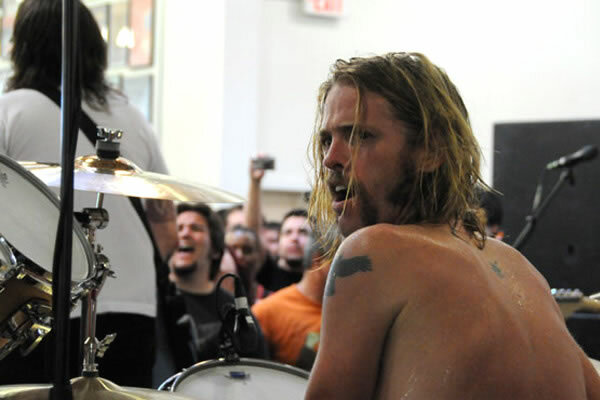 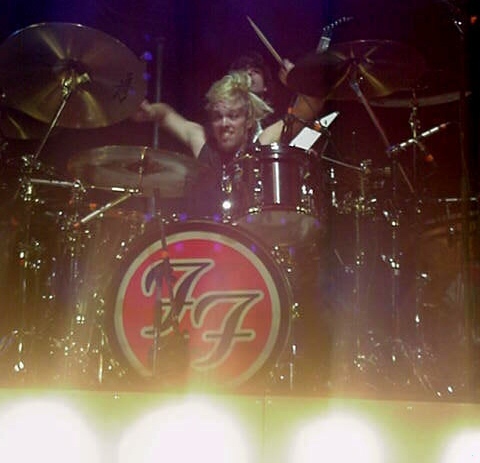 Hawkins made his Foo Fighters debut in time for the album's release. 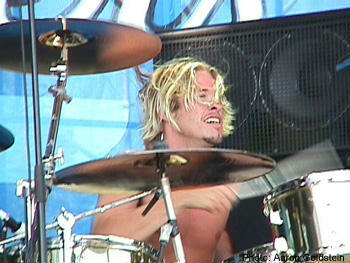 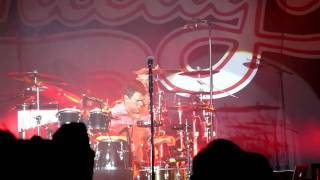 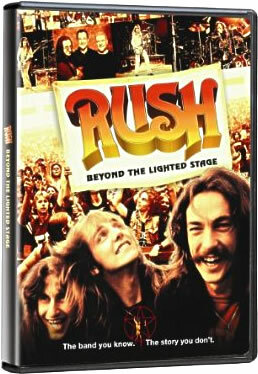 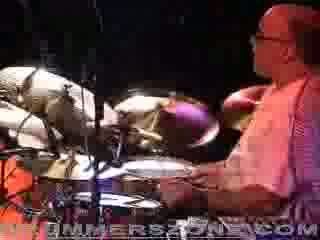 He has remained the band's drummer since then. 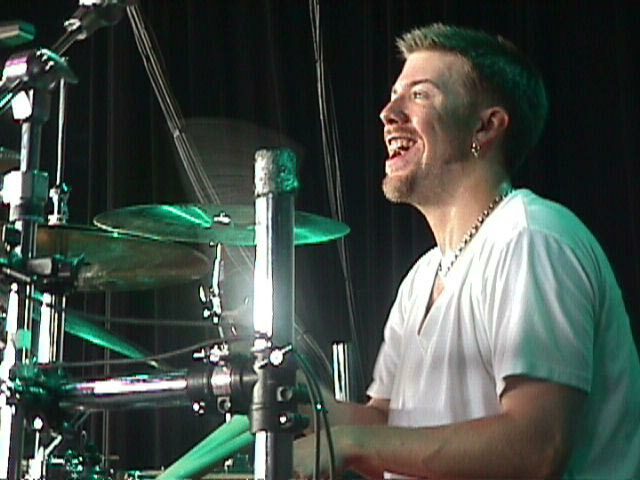 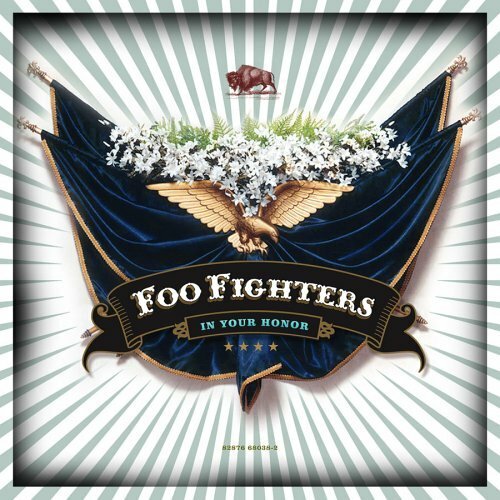 In addition to his drumming duties with the Foo Fighters, Hawkins co-wrote and sang on the band's double-album, In Your Honor. 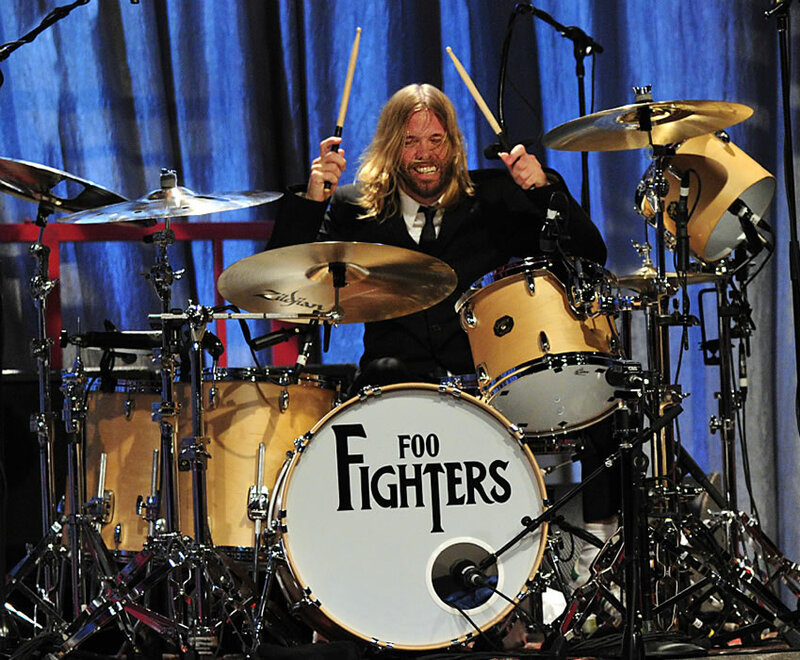 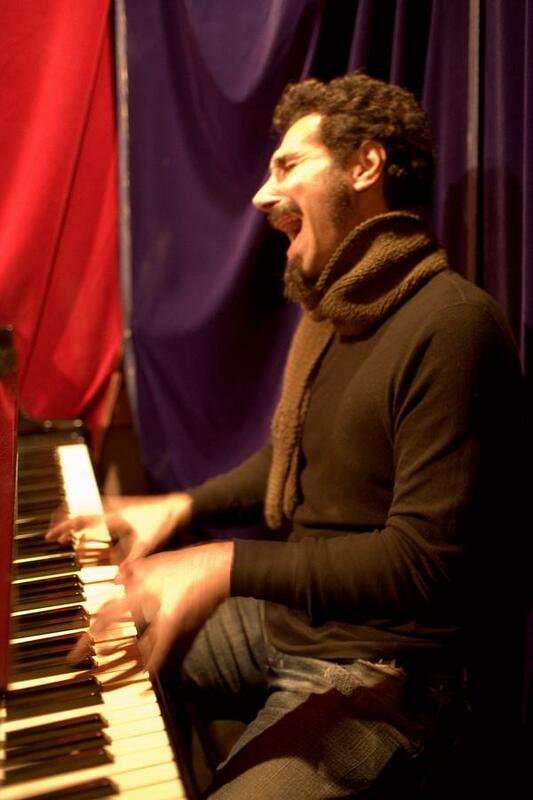 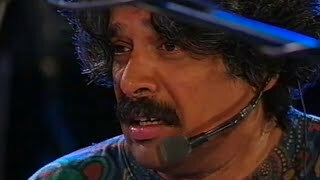 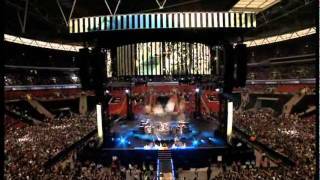 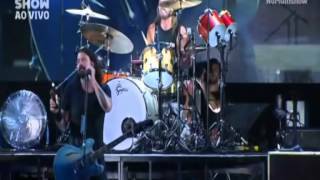 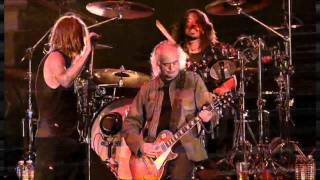 Live, he occasionally provides backing vocals and at times lead vocals while Dave Grohl plays drums. 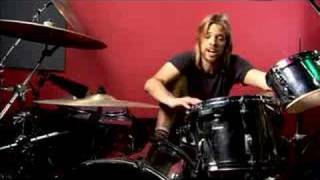 March 2006 saw the release of Taylor Hawkins & the Coattail Rider, Hawkins's debut solo efforts. 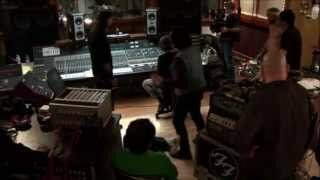 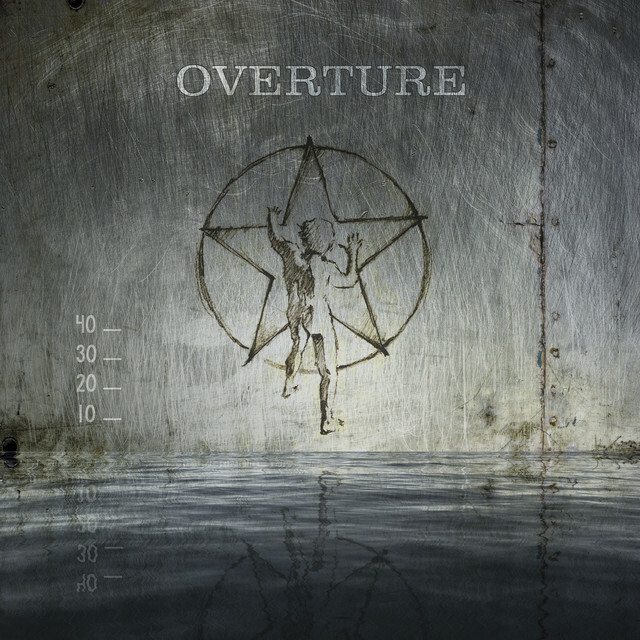 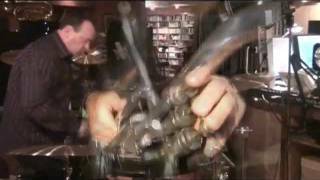 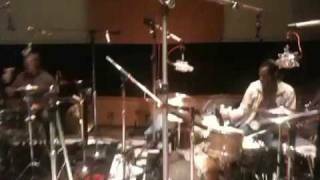 It was recorded by Drew Hester, a preofeesional drummer as well.